I’m no expert in this area, but I am a willing participant, eager to learn more about living a life of intention, of vulnerability and truth. I learn best by making some serious mistakes and by watching others excel, so this is my way of sharing from falling down, tripping up and sitting open-mouthed, in awe of others who do it well. This is the treasure of my heart in the picture, no idea why God would entrust me with such great gifts, but I will do my best by them, and try to love them well. Thanks for following! I love your blog – the relatively short posts (I read a lot of very long-winded people) have a lot of food for thought in them. Thanks for the kind words, I’m from the camp of saying it in fewer words, sometimes not enough, I’m afraid. I’m so impressed with your vulnerability in your writing, and look forward to reading more! Keep up these posts! The shorter length is perfect for busy people yet packed with thought provoking messages. I love reading them! Hey, I really like yer blog, keep it up ! And hey, conversations? Hi five! I love that picture of all of you smiling. It’s easy to see the kids got their smile from their mom ( I like it when people say that and it turns out the kids are all adopted or something like that and they just grin at one another.) I’ll be cruising your blog a bit. If Sis comes here there must be a reason. Thanks so much for stopping by! I’ve read your comments on Sis’s sites for months, so I look forward to reading your input here! Sis’ sites (now Jenny but I still call her Sis)! You don’t blink with her or you’ll miss something changing. She runs through themes and gravatars like crazy and changes her mission about once a year. If there were such a thing, her occupation would be flipping blogs; find ’em, rehab ’em, unload ’em and move on to the next deal. 🙂 Mine is six months old the 26th of this month and I’m still tweaking with it’s appearance, . I had no idea you were blogging! I’m excited! This was perfect for me today…life is feeling like that hike & I was wondering if I had the energy for it! Thank God I don’t have to do it in my strength alone and thank YOU for enabling me to find a place for my heart to gather strength to begin. My next comment you moderate will let you see why. My comments were turning into mini-posts on other peoples blogs. Sis, Robyn (Up With Marriage) and Chris (The Forgiven Wife) were big encouragers to get me started. I was really bad with long comments on Chris’ blog. You just got a taste of it too. Having my own blog hasn’t “cured” me. Totally get it, I tend to write very quickly, as you can see, I use few words, not sure why, but it’s how my posts end up! I plan to languish on your site here soon. Languish away. I’ll keep a light in the window. 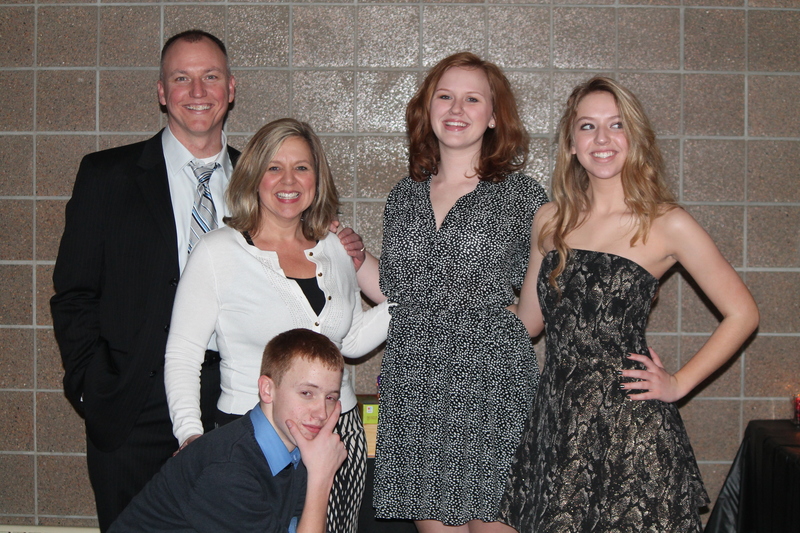 That is one fine looking family. It’s easy to see they all got their good looks from their mother though. LOL He looks like a great guy too!